While it might seem like you've stumbled onto some secret of speed, where a larger diameter wheel and tire is actually lighter than the smaller diameter choice, that's just almost never the case in the real world. You are assuming that the overall tire height is always kept exactly the same, and that isn't necessarily the case. For unmodified speedometer calibration, yes, you keep the tire height the same... but recalibrating speedometers is alarmingly easy. A shorter wheel allows for the use of a shorter tire - even keeping sidewall height the same - and the total wheel/tire package would normally indeed be lighter. This BRZ might even be capable of 16" wheel use, which would make for an even lighter package than the 17" stuff I proposed earlier. The advertised weights for tires and wheels can also be inaccurate, but its getter better in the past few years. Also, tires can get 2-3 or more pounds lighter when shaved (common practice for autocrossing and track use) and also lighter over time, as the tread wears down. There can also be performance advantages to having more sidewall height (possible at the same overall tire height with the smaller wheel diameter), less total tire height (gearing), but there's zero performance added from larger wheel diameter. Except, sometimes in popular diameters (17" and 18" at this time), possibly more tire choices. Again, you are talking about saving ones of pounds, which in the grand scheme makes almost no difference. If you can drop 10 pounds per corner, though, that's some real rotating inertia change. But I'll take more tire width (GRIP) rather than sacrifice 2 pounds to stick with a skinny wheel and tire. Now, that all said.. I'm not hiding my rim choice behind performance, there is definitely a level of appearance to my decision process; the large fender arches of the BRZ will look better with 18" rims under them. I didn't buy the BRZ to race for points. You sure spend a lot of thought on tire/wheel choice for someone that has no aspirations to "race for points". It's going to be a fun daily that I sometimes AutoX to help me work on my line choice and grip cornering. But I don't want to lose performance either. So minimizing the weight gain (or even creating some weight loss) is a plus in my book. I like to have my cake and eat it too. You can have your lightweight wheel/tire package and have added cornering grip as well, if you'd only listen to more experienced racers like me, Hanchy, altiain, and others posting here. Don't bother "upgrading" to only go with a 225mm tire on a car this big and heavy (and yes, its going to be much heavier than people think). Many of us here race. We test these theories and weights thrown around the interweb. We all know from testing that going up in diameter will tend to hurt performance in almost every other measurable way, in the end, unless a substantial width increase goes along with it. You can take our word for it or do your own battery of tests (or trust the testing of the interwebs, or TireRack's little test published in GRM a year ago - that had some testing flaws), but in the end if you're talking about fighting for 2 pound wheel/tire weight differences it won't matter much. Don't get me wrong, I usually go +30mm on my summer tires (My STI rides on 255s and my spec.B runs 245s.) But the BRZ is about low weight and low power, so I'm being a lot more conservative with an eye towards weight. I have my WRX for going function over form (Hell it doesn't even have bumpers!) but my other cars have more moderation in their mod selection. And likewise, many folks on other BRZ forums are defending the OEM 215mm wide tires as being "more fun" on a lighter car. That seems like a neat thing to say, and maybe sliding around at super low speeds is fun for some people (the "I'm going so slow nobody knows I'm trying to drive fast" school of thought). 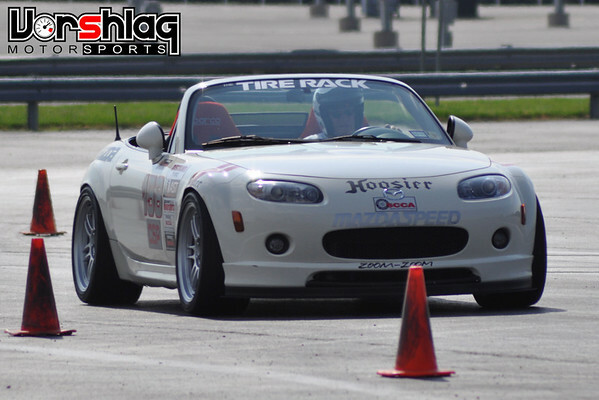 In any form of competition setting, from autocross to road racing, the wider tire wins. 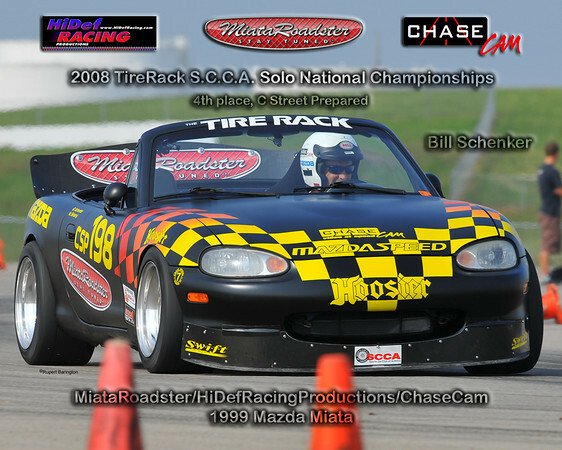 One example of thousands I could show you is above... 2300 pound CSP prepped MX-5 autocross car on 18x10" wheels and big Hoosier A6 295/30/18 tires. Its fast as balls but makes jack squat for power. Tire width (and low weight) wins. If this car could be faster (acceleration, cornering, braking) with a narrower, larger diameter, and lighter wheel... it would be using those tires, as would hundreds of others he races with. Some similar cars in the very same class use a 15x10" wheel and another popular Hoosier A6 size - the 275/35/15... which is an overall MUCH shorter, and much lighter, wheel and tire package. The "its gotta be light" crowd gravitates to this, but the taller 18" tire package can have some sidewall advantages - and wider and more tire choices - so many autocross guys that could use the 275mm wide 15" Hoosier go up to the heavier 18" set-up. But some don't. Its a huge debate that only testing can prove correct. Send a private message to Fair! Find all posts by Fair! While it might seem like you've stumbled onto some secret of speed, where a larger diameter wheel and tire is actually lighter than the smaller diameter choice, that's just almost never the case in the real world. I didn't think I'd stumbled upon a secret, I just thought that someone not looking for 10ths could get a mild boost in grip for little to no weight gain and even a small weight loss. An interesting bit of info was pointed out to me today. The stock rims weigh 20lbs! I was expecting 17-18lbs. You are assuming that the overall tire height is always kept exactly the same, and that isn't necessarily the case. For unmodified speedometer calibration, yes, you keep the tire height the same... but recalibrating speedometers is alarmingly easy. A shorter wheel allows for the use of a shorter tire - even keeping sidewall height the same - and the total wheel/tire package would normally indeed be lighter. This BRZ might even be capable of 16" wheel use, which would make for an even lighter package than the 17" stuff I proposed earlier. I mentioned I could understand going to a small rim for a smaller overall diameter. Well.. I love this stuff. It's a fun mental exercise. And I like to do things right the first time. Though "right" can vary depending on what I plan to use to car for. I tend to spend more time planning my moderately modded cars than my full race cars. I know exactly what I want to do for the WRX and don't have to spend much time planning. You can have your lightweight wheel/tire package and have added cornering grip as well, if you'd only listen to more experienced racers like me, Hanchy, altiain, and others posting here. Don't bother "upgrading" to only go with a 225mm tire on a car this big and heavy (and yes, its going to be much heavier than people think). You think it's going to be much over 2770? Many of us here race. We test these theories and weights thrown around the interweb. We all know from testing that going up in diameter will tend to hurt performance in almost every other measurable way, in the end, unless a substantial width increase goes along with it. See, this is why I really wanted to sign up here. It's valuable to know how to weight certain criteria when making a decision. I'm finding that you weight tire width much heavier than rotational/unsprung weight, and lowering the car above geometry. As I really only have a relatively small real-world experience (4 years RallyX competition which doesn't really apply, and a handful of AutoX events) to draw from I have to work in theory a lot and try to guess how important certain things are. On the flip side of that, I also like to understand why certain choices are made. I don't do well just taking someone's word for something. I usually like to have a reason to back it up, and then I will often challenge something I don't think is right. That way I can better see where I'm wrong. (If I am. ) I like to say: "I'd rather be right about being wrong, than wrong about being right." So.. At this point it sounds like I should wait for you guys to figure out how to cram a set of 245s under the fenders. My BRZ won't be a AutoX monster, but a Daily that I sometimes AutoX. So I'm still going to make some decisions you won't agree with. But I have modified my plans some. Figured I'd update this thread as there have been some behind-the-scenes suspension development on this chassis. Unlike on the Subaru platform from which this front McPherson strut suspension was "borrowed", this FT86 chassis has no need to clear a front halfshaft (it will never be AWD or FWD), which normally runs underneath the bottom of the front strut. This means the strut body can be extended below the mounting clamp for additional stroke (bump and rebound travel) even at a lowered ride height. This is a win-win for enthusiasts, autocrossers and track racers that want to buy an FR-S or BRZ and want the performance benefit from a lowered ride height, but don't want to suffer with substantially reduced bump travel. 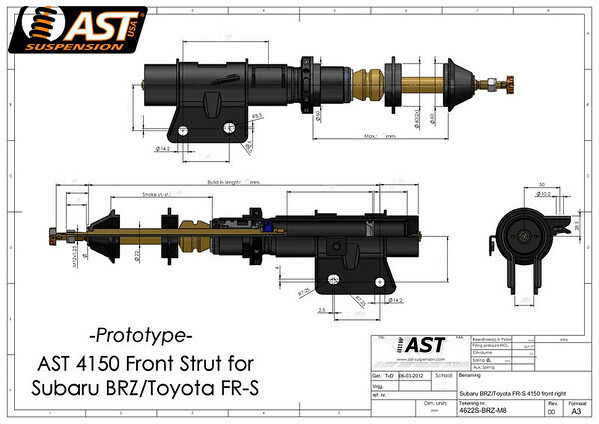 The OEM FT86's rear shocks are virtually unchanged from a different Subaru chassis, so that won't have to be completely new from AST - other than the update to the new 4150 specs. 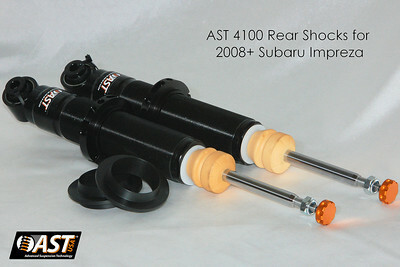 Vorshlag has ordered a prototype set of these AST 4150 coilovers and we will put them on our BRZ as soon as it arrives. Then we will work with AST-USA on valving for this chassis. 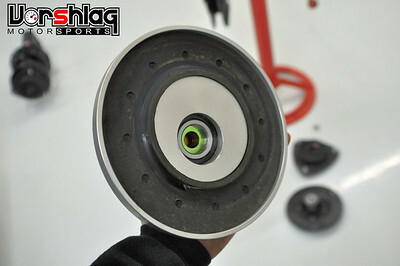 We'll add our spherical front camber plates at the same time. Luckily we already have a camber plate that fits this chassis perfectly. Should be able to make these camber plates work with any coilover set-up on Day 1, with spring diameters of 2.25", 60mm or 2.5". If there is some unforeseen issue with this camber plate on this car (weird caster or camber settings) we will quickly redesign a unique FT86 version. We'll also take apart the OEM suspension, measure the front spring ID, and make the OEM style upper perches to work with our camber plates as soon as the car arrives. 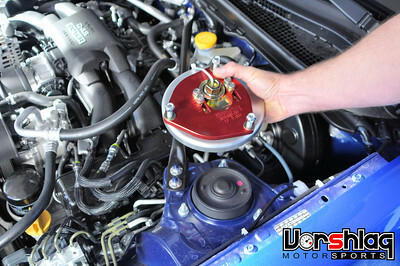 The upper perches we include with all of our camber plates is somewhat unique. This allows for a pressed-in, sealed, radial ball bearing assembly to isolate steering loads and rotation from the spherical bearing. Part of the secrets that make our camber plates last longer than others out there. Anyway, just thought I'd pass this along. Sorry if this was too "sales-y" but the only other coilovers I've seen being talked about for this chassis are lower-end Chinese fare. 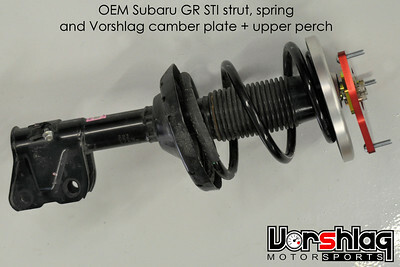 I thought some of you looking at the BRZ might like to know about the higher-end suspension parts also being developed. Last edited by Fair! ; 03-08-2012 at 01:20 PM. For all the skinny tire, less rotational weight is the most important thing school of thinking. "A turbo: exhaust gasses go into the turbocharger and spin it, witchcraft happens and you go faster." LOL That video is a laugh. I always wondered what it would be like to drive a car on 4 donuts. Toyota insists they are "Sporty" Prius tires. Once I get the car, 'll probably spend a couple days hooning around on those before I put a good set on. I'm still pondering what to get. But I' waiting for the guys here to get in under the wheel wells and figure out what will fit and how. That might sway my decision. Here's a question.. The BRZ doesn't seem to me like it has enough torque to require, or even make use of a larger set of tires on the rear. But at what point do you guys start to look at larger tires on the rear of a RWD car? Terry is a big fan of running a "square" setup, mostly for wear, cost and balance reasons (all very valid). I agree with him most of the time, but when you have corner exit issues where you can't put the power down (high HP RWD cars), then you need to look to a larger contact patch if you can fit it. In the case of the BRZ I am sure a "square" tire setup would be best. 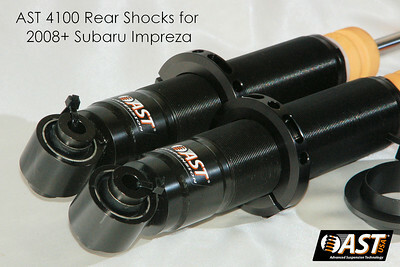 Consider that the Evo was 3500 units and the STI was 5000? I think there will be enough to go around since there are 6000 FR-S's as well.